Beautiful blue sky, wonderfully warm, so you could sit in the with the colorful lanterns decorated Bierhübeli garden super comfortably and have a good time. The smell of chili con carne got into my nose. If only I had not eaten on the way there 😉 There were many foreign-language fans outside, said my colleague as I sat down in the bar next to her. Probably Dutch fans, she supposed. Yes, absolutely understandable that they are going on European tour with their favorite band. 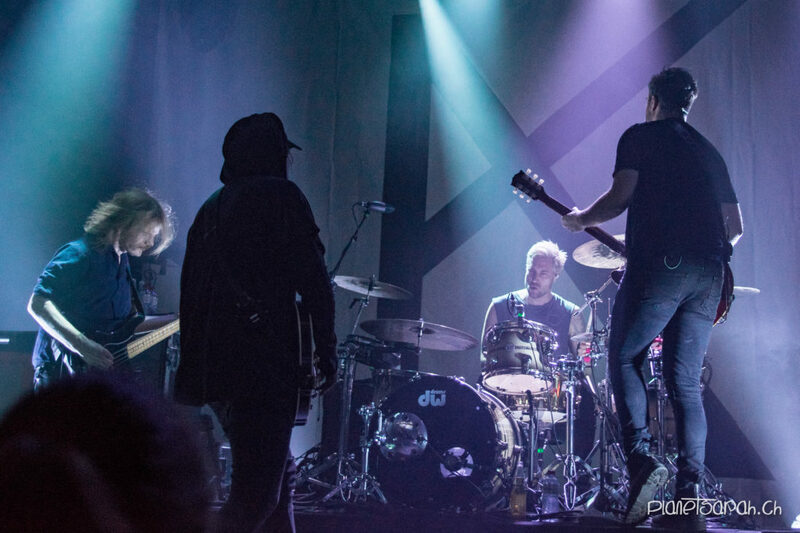 After the major Ziggo Dome shows in Amsterdam last November (read here) Kensington have started their European tour in Belgium and have already arrived in Switzerland for the 2nd stop. In the Netherlands, the rock band is already quite big and has sold out the Hallenstadion similar arena in Amsterdam on five nights in a row. They will be even playing in the huge Amsterdam stadium next summer. Here in Switzerland, on the other hand, they still perform in smaller venues. And yes, generally it’s great to see your favorite bands abroad. After Schaffhausen the day before, they performed at Bierhübeli Bern and thrilled, next to the extra arrived Dutch fans, the Bernse audience energetic and passionate with great rock sounds and the matching light show. 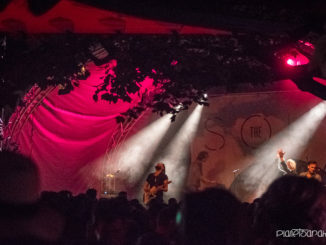 Like back in 2014 at Zurich Komplex, The Souls kicked off the two Swiss concerts. What has changed since then? 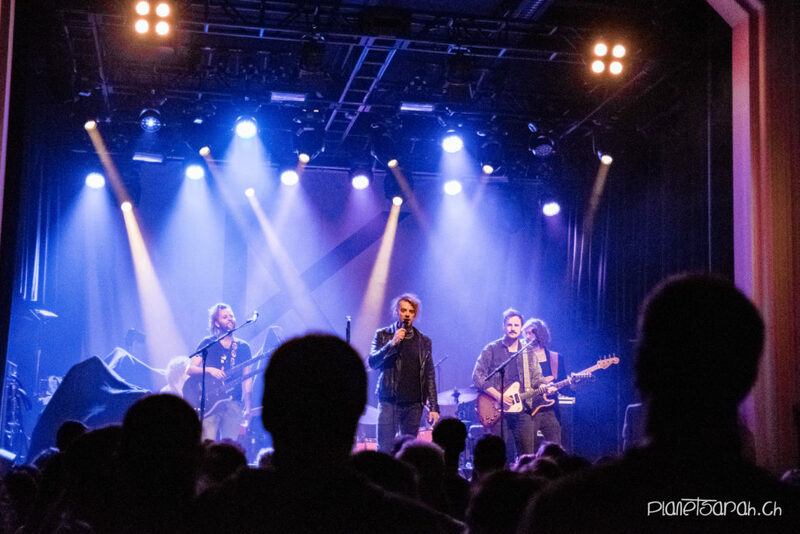 The band has renamed itself from Undiscovered Soul to The Souls, released their album “Eyes Closed” and was SRF3’s “Best Talent”. In addition they could play many great concerts, among other things as support of superstar Lenny Kravitz, as well as festivals. With a short half-hour set The Souls got the audience into the mood for Kensington. They rocked to “Live”, the Ryan Adams cover “Gimme Something Good” or enchanted with “Close my eyes”. The technical error proved in-between, that it was absolutely live. So the Thun band also convinced the Dutch fans. After the short break the audience was much closer to the stage.It had suddenly become a lot tighter. With their current album “Control” and new setlist on European tour, Kensington started with the well known “All For Nothing”. It quickly became clear that, unlike most Swiss shows so far (it had always been rather dark), there would be a light show based on the Ziggo Dome one. Excellent! Caspar let his guitar roar while Niles pushed the songs on the drums. 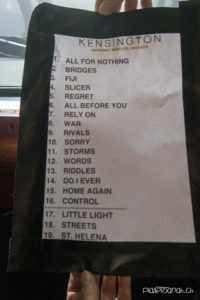 They especially presented the new songs like “Bridges”, “Fiji”, “Regret”, “All Before You” and “Rely On”. It was already incredibly hot in the Bernese concert venue. The vibes were good from the beginning and got even better from song to song. Ha! That’s what I somehow was missing in Amsterdam. 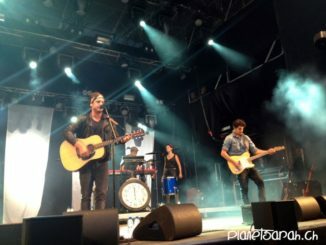 In addition to the complete control album, Kensington also played some of the older songs like “War”, “Rivals” or “Riddles”, where the audience also let themselves be carried along to sing along. To the very back and also on the balcony you could see the audience dancing and jumping. 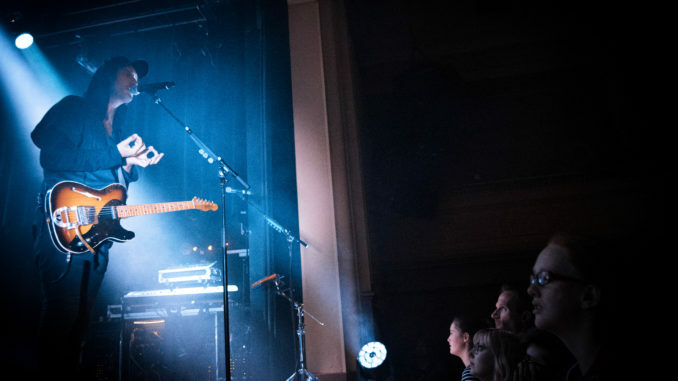 Did Caspar hit the strings hard on these songs, he sat down behind the piano for “Sorry” – also here the spotlight on him – and it got a bit quieter for the next two songs. Goose bumps were inevitable when frontguy Eloi asked the audience for total silence during “Storms”. After occasional visitors were reminded to shut up with hushing, it was practically dead silent during the song. With “Riddles” and my favorite “Do I Ever” it went back to wild again. It went as far as some were being persuaded to get up on the shoulders of their companions during “Home Again”. Of course, that had to be remembered for the souvenir album. With the album title song “Control” Kensington played their last song. In a sea of ​​lights, however, they continued with the beautiful “Little Light” in the encore. To “Streets” everyone was singing again vigorously, before the concert evening concluded with the rocky dark “St. Helena”. Luckily Kensington seem to like Switzerland so much and come back regularly. As impressive as the size and mass of people at Ziggo Dome, great as the LED and light show of the arena show were, I still prefer the club shows. At concerts in small locations the audience spur each other on much more, get carried away and you’re in the middle of the action. 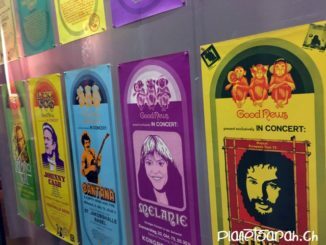 Everything can be great and the songs be played so wonderfully, but if the audience does not want to participate, there’s just going to be a big difference. After the concert Kesington then came as promised for a beer, some small talk and autograph requests among the remaining fans. After a day off in Bern, they headed to Budapest and continue with the tour.